I thought it would be great to set you up with some weekend reading. It is time for some book news, because we have been reading and reading. 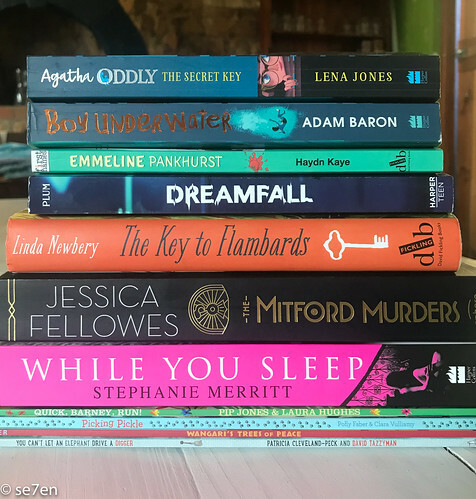 I fully intend to bring you some bookish news in the next week or two, because we have some fantastic reads… just in time for our long lazy days of summer, unless of course you are heading into cosy weekends and are living in the Northern Hemisphere. Wangari’s Trees of Peace by Jeanette Winter: Let’s begin by saying that Wangari Maathai is on of my all time heroes. Anyone that plants trees to regreen Africa, that starts with a tree and another and another… until she has planted a forest is beyond magic. And then inspired the local women to join her in planting seeds of peace. And now we have a beautiful picture book to share her story. Wangari was born in Kenya, and her outstanding ability meant that she received a scholarship to study overseas, where she received first a bachelors and then a Masters degree in Biological Sciences… she returned to Kenya to discover the horrors of deforestation… no firewood for locals, soil erosion and poor soil… no crops, where once plants and forests had flourished. She began small, really small and made a huge difference. I love this picture book, the illustrations are rich in colour, the story is empowering. Fantastic read to add to your story pile. This book is a little bit a chaos, and a lot of bright and funky colour. It is delightful and pure fun… lots of twists and perfect for some story time silliness!!! Picking Pickle, which dog will you choose? By Polly Faber and Clara Vulliamy: Adorable Pickle is “Pup in charge” at the animal shelter, and Pickle is there to show you around and help you to choose a puppy. He shows you the champion, Geraldo; hungry Harvey; Clever Dumpling that can speak five languages; Marvellous Matilda; and wooohooo Wiggins; Dancing Dibble and Sporty Boo-Boo; not to mention Poochy Petunia Wuffles – Winstanley. Pickles is the most unassuming and gorgeous little pup and he shows you every other dog in the shelter’s strengths… they are fabulous, fantastic and unique… and then there is plain old Pickles. And then he waits hopefully for the special news to pass on to the dog who gets to go home with you. 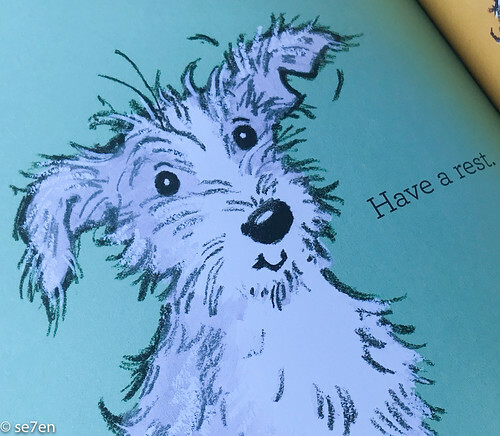 This is a very special book for a young dog lover, who will love it to bits. You can meet Polly Faber over here, and the delightful Clara Vulliamy over here. The World Through a Child’s Eyes. Quick Barney, Run! By Pip Jones and Laura Hughes. On this terribly dull day… these two little people get up to a wild adventure that takes them in and out of closets, over oceans to distant lands, down into the depths of the basement and through the jungle… there is a sleeping gibbon that needs its hair decorated, and a colourful bird tapping at her seeds (keyboard), and the most marvellous tiger (marmalade cat). 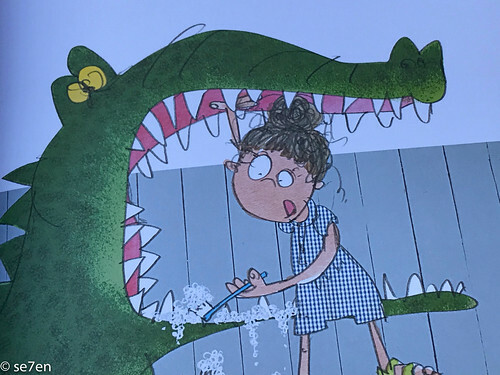 This story is a picture of a childhood wild and free… it is delightful and captured our attention right from the start. A great and boisterous read, perfect for all kinds of story times!!! This book has to be a favourite!!! 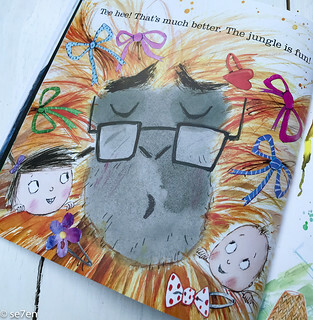 You can meet Pip Jones on her website here, and illustrator, Laura Hughes over here. Emmeline by Haydn Kaye and illustrated by Michael Cotton-Russel: This is a great read for an emerging reader, especially one who loves heroic biographies and a little history. This is the story of Emmeline Pankhurst, a feisty gal from the turn of the last century… who was determined to get a fair deal in the world for girls. My children were shocked to discover just how unfair things were for women… shocked… and so they should be. While we continue to fight for rights, we really need to take a look back at those folk who never gave up. There is a sweet factor, a cartoon character of Emmeline that talks to the author throughout the story. And interwoven throughout the story are spreads of carefully and wonderfully illustrated fact pages explaining terminology and interesting features about the life and times of Emmeline. This book is one of a series, called First Names. It’s a great read and once you have read it, you will not forget who Emmeline Pankhurst was, or more importantly, what she stood for. 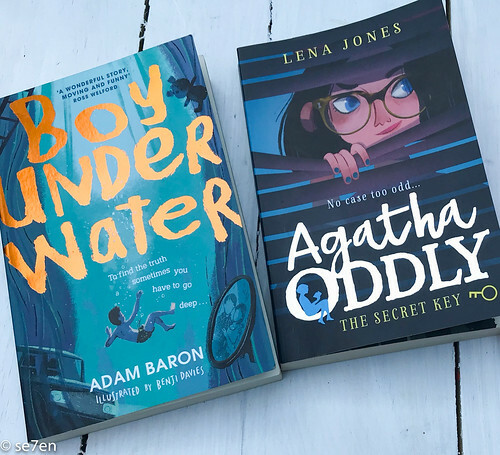 The Secret of Agatha Oddly by Lena Jones: Oh, if you are looking for a funtastic Middle Grade read… a mystery with a very funky heroine, then this is the one. Agatha is named after the ultimate sleuth writer, Agatha Christie. She is a delight… she takes no nonsense from the “Cool Girls” at school, she stands up to bullies and all in all she is all-round spunky. She is sleuth on the brink if a big case, and the big case has found her in “The Secret Key.” Agatha, with the help of some great friends, is determined to discover what is wrong with the water supply in London, why is all the water turning into sludge and why oh why does her world keep intersecting with some very suspicious characters… everyone she meets seems to know part of the story… but they all need Agatha to put it all together. This is a great read for the chapter book brigade… highly recommend Agatha and look forward to more books in this series. 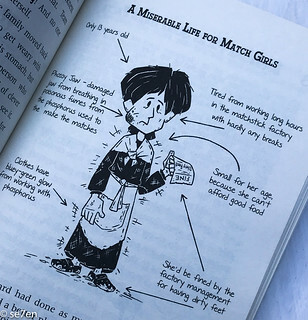 You can read more about Agatha Oddly at National Geographic Kids. 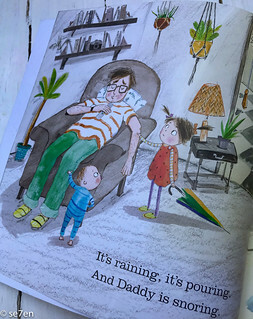 Boy Underwater by Adam Baron, illustrated by Benji Davies: The hero of this book is called Cymbeline Igloo, what a name… that already perked my interest, and he cannot swim. In a boastful moment he ends up not only nearly drowning, but to his mortification, (spoiler alert) losing his swimming trunks. In fact he loses more than that… Cymbeline narrates the story to you, and he begins as a somewhat self-absorbed lad, but the drama of losing his swimming trunks in front of the entire school, is nothing compared to the drama of his entire life. This book is so much deeper than a pair of swimming trunks and the school pool. His mum has mental health issues and somehow his swimming event triggers a complete breakdown for her… Cym, will have to figure out why, a question he has never thought to ask before. As Cym is on the cusp of coming of age, his reality opens up from just a boy living his life, to discovering that adults have lives too… there is that moment when you realise it isn’t all about you… this is that book. Adults have lives and they can be messy lives, but you are still loved and your best friends will stand by you, and you are going to be okay. This book is a book aimed at middle schoolers, and it deals with lots of issues in a light hearted way. Honestly, I think this is a fantastic read… Boy Underwater is definitely a play on words, not only can Cym not swim, but his life is literally spinning out of control, as he continues with the day to day stuff. 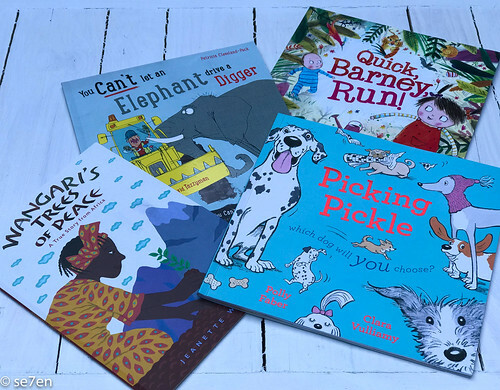 Kids live in the world, where people grieve, where things fall apart, and where life gets messy and yet very few books, that cover topics like these, are written for kids. Excellent read, pop it onto your tweens reading pile… it is light, its extremely funny, its heartbreaking and heartwarming. This book gets our full stamp of approval. You can read about the author, Adam Baron over here. And meet the illustrator, Benji Davies, over here. 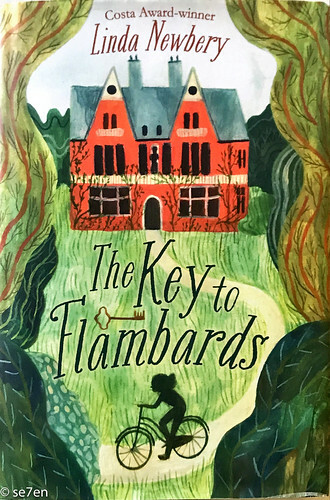 The Key to Flambards by Linda Newbery: This is a teen comfort read… if you are looking for easy reading and pleasant break from the world then this is a great read. Fourteen year old Grace is starting life over, after being caught in a hit and run the year before, and an accident so terrible that her parents marriage couldn’t survive… she has had to relearn to walk, and that was the easy part. Her mum decides to take a summer job in the country as the media writer and last hope for a Manor House retreat, a business that is sinking financially. Grace has to tag along of course. Not quite the fresh start she was hoping for, but it is indeed a fresh start. Interesting thing, this book is filled with Manor House history, that links back to the original series of the Flambards by K.M.Peyton. This book is in fact, written with permission from K.M.Peyton and if you have read the original series, then this is something to look forward too, I on the other hand am a little intrigued and think I may have to go and look up the previous series in the library. Back to the story, Grace’s entire life has been disrupted by things beyond her control, and this book is really her journey, as she learns how to be independent. She becomes somewhat of a hero and discovers new friends and new passions. She also becomes intrigued with the history of the manor, as she discovers her connection with the people of the past. It is a teen read a short saga type read and there are hints at relationships, but this book is more about friendship and fresh starts. 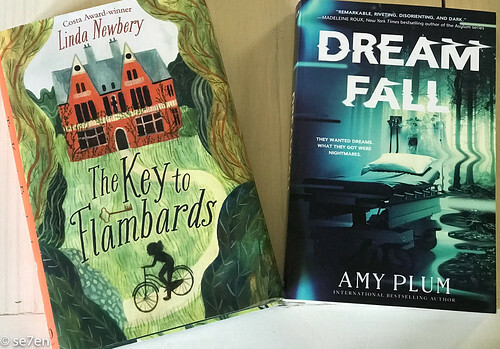 DreamFall by Amy Plum: Amy Plum writes series, you’ll be glad of that, because they are good. Her teen/young adult reads are fast and furious and edgy and once you get into them you can not be able to put it down. I met Amy Plum on twitter a number of years back, before I even knew she was a writer… and then I absolutely love her first series of books and have kept on reading ever since. While we are all living in a world where sleep is becoming more and more of an issue, a group of troubled teens are about to take part in a medical programme to try and help them to sleep. All seven of the teens are suffering from debilitating insomnia and psychological problems abound. For various reasons, they are all extremely sleep deprived. And that is just the set up. In a very stark and clinical test, they are all medicated and then the power fails, a massive malfunction. It appears that all the study participants have all fallen into a deep coma, and the staff are stuck between trying to rouse these teens and hush up their disaster. The teens, however, find themselves in limbo, in a frightening dream space, where they each have to struggle through their own personal nightmare. They are challenged to the max, and have to work as a team to conquer their fears. 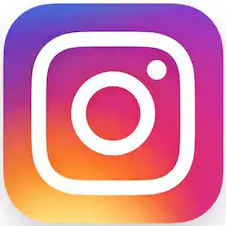 But why, what is on the other side? 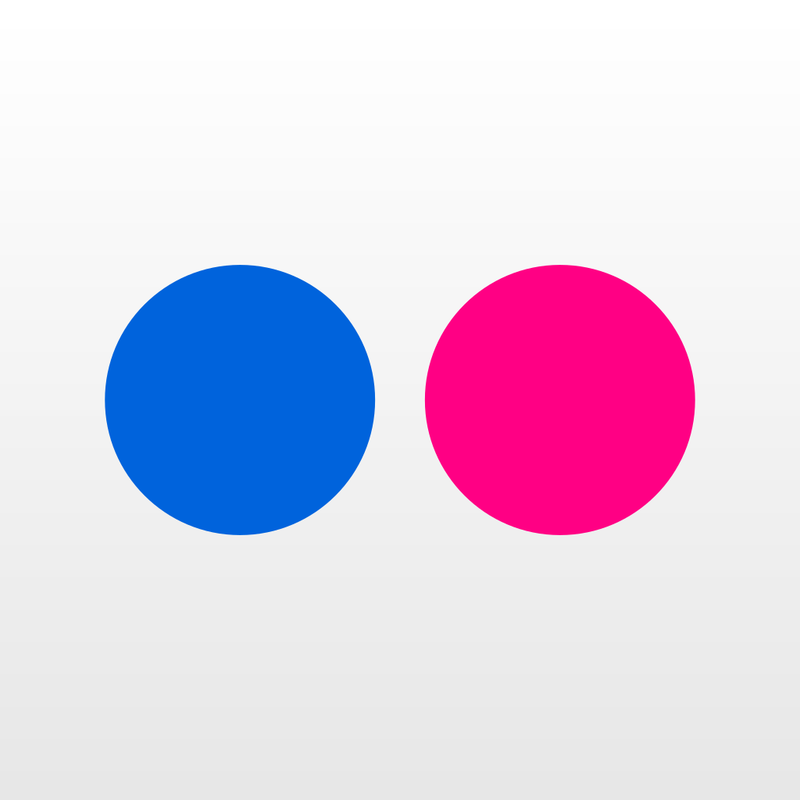 Creepy… very. Alarming… that as well. This is not a deep and profound read, but it is a great escape from reality and there is more to look forward too, because it is the first in a series. Pop over to Amy Plum’s website to meet the main players in the book. 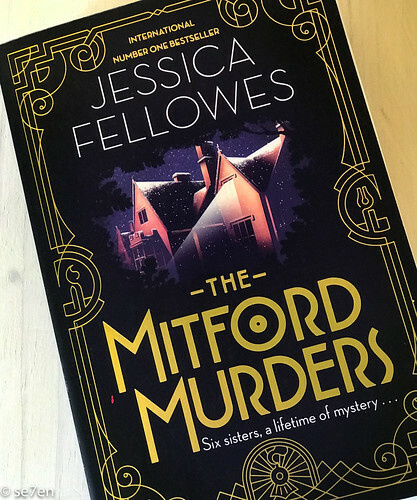 The Mitford Murders by Jessica Fellowes: I really loved this book, it feels like a weekend away. A genteel mystery, it was the perfect mini-break for me. The book opens with an introduction to eighteen year old Luisa Cannon, who lives with her laundrywoman mum, and her very sinister uncle. When she realises the unsavoury intentions her uncle has for her… she has to escape, and her only chance is to become a nanny for the wealthy Mitford family. On her way to her interview she meets a railway policeman, called Guy… and their story twists and turns through the main theme of the book, which is to determine whatever happened to the goddaughter of Florence Nightingale who is found murdered on the train to Brighton. The murder, in broad daylight, of Florence Nightingale Shore, is the actual truth and remains an unsolved murder to this day. Reliable and trusting Luisa, along with the oldest and carefree Mitford daughter, Nancy, find themselves more and more entangled in the crime. The deeper they look into the facts, the more people that could be accountable emerge. Someone they know must have been responsible for the crime, but who? There is a fabulous twist. I loved this book, it is the first in a series and I can’t wait for more. Set in the 1920’s, the book wanders in and out of the lives of the main players, and in and out of the friendship between Luisa and the investigating policeman, Guy and of course Nancy. You can meet the author,Jessica Fellowes on her website here. “Tis the Thriller Season for This One. While you Sleep by Stephanie Merritt: This is a very seasonal book to read, if I did Halloween then this would be the book to read. I have to say there are some fairly explicit scenes in this book and if you aren’t in to that it isn’t for you. Other than that, it is really creepy and there were moments when I literally couldn’t put the book down. This is the story of a women, who needs to get away from it all and she books herself a month long retreat in a beautiful manor, on a remote Island off the coast of Scotland. From the moment that she arrives on the island, things start to go strangely for her. She feels watched all the time, she notices things have moved around the house… and There is more at stake than just the usual shenanigans and politics of small towniness. She discovers that in the last year a child has literally vanished from the Manor, and the age old stories that surround the Manor House means that it is hard to untangle the reality from the hearsay. The point is locals believe in all the ghosts and Zoe’s rational brain thinks it is something much more sinister… and then her estranged husband arrives on the scene to save the day, and definitely does the exact opposite. This book is spooky indeed, and yes Zoe was right about there being something sinister going on in town… not to mention that there is a lot more going on, in and around town, than the locals would ever want an “interloper” like Zoe to know about it. Not to mention an extreme twist. If you like creepy, then you have found a great read. Thank you to Jonathan Ball Publishers for supplying this fabulous collection of books for review purposes. This is not a sponsored post and all the opinions are as usual my own. 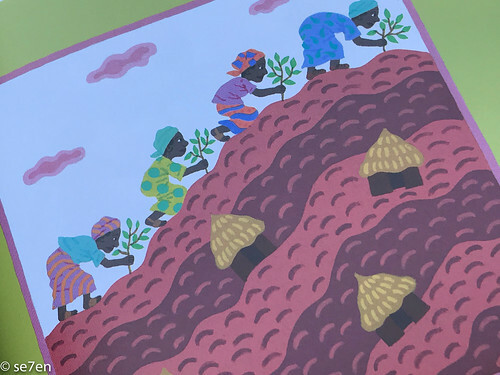 Oh Erin, You would love Wangari and her story… it is really a book from the heart!!! Hope you all have a great week!! !